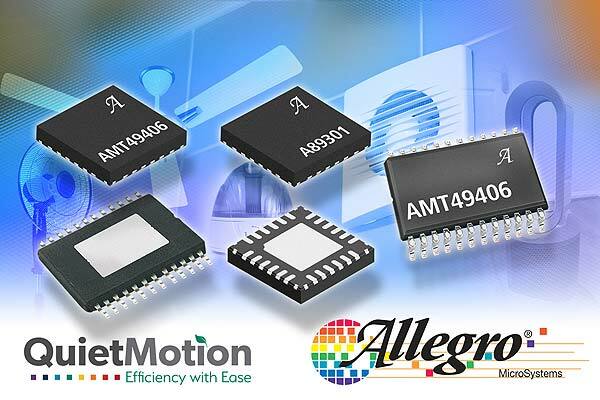 Allegro MicroSystems Europe, a leader in power and sensing solutions for motion control and energy efficient systems, has announced the launch of the company’s QuietMotion family. This family consists of the first-to-market Field Oriented Control (FOC) brushless DC (BLDC) electric motor controllers that are customer code-free. The devices are designed to provide reliable and efficient low audible noise performance while reducing design cycle time. Whereas most FOC BLDC drivers require software developers to code the algorithm in a microprocessor, QuietMotion devices integrate Allegro’s innovative FOC algorithms. These advanced algorithms allow for smooth, quiet motion while eliminating the need to write software. 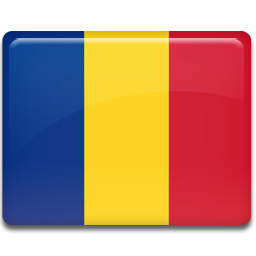 This significantly lowers R&D expenses and reduces time to market. With only five external components, these devices also minimise bill of materials (BOM) cost, improve reliability and reduce design complexity. The result is a quiet, easy to implement, and efficient outcome. The first member of Allegro’s QuietMotion family is the AMT49406, which is an ideal solution for applications that demand high efficiency and low acoustic noise- such as pole and ceiling fans, humidifiers, dehumidifiers, air purifiers and exhaust fans. With its embedded proprietary windowless sinusoidal algorithm and soft-on-soft-start algorithms, the AMT49406 provides reliable, industry-leading audible noise performance. Please click here to download a copy of the AMT49406 and A89301 code-free FOC sensorless BLDC fan driver datasheets.